Terror attack victims and injured soldiers are among those set to benefit from Britain’s first specialist wound research centre. Staff are developing new techniques to treat burns, with the goal of achieving scar-free healing within a generation. It will also give mental health support to those with physical injuries. 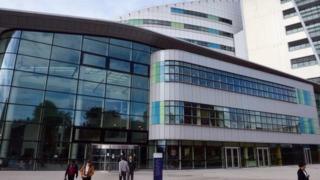 The Centre for Conflict Wound Research at Birmingham’s Queen Elizabeth Hospital will be opened by the The Countess of Wessex later on Tuesday. Led by charity The Scar Free Foundation, the centre will lead a national programme of clinical, psychological and scientific research. It will also trial a new battle-ready transportable dressing. Hundreds of British service personnel suffered life-changing injuries, such as the loss of limbs, while fighting in Iraq and Afghanistan. Many are still living with the visible scars caused by battle. Now this centre is pioneering new techniques to help them recover. It includes the use of lasers to reduce the scarring on old wounds – such as amputations. The centre has also developed a new dressing that can be applied on the battlefield. In addition the dressing, which helps speed up healing and reduces scarring, could be used at the scene of traffic accidents and to treat burns victims of bomb or acid attacks. Over 480 patients, many of them injured veterans, will take part in research at the site over the next three years. 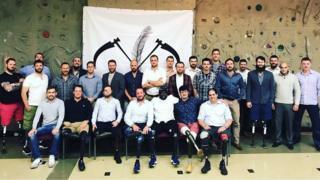 The centre has been set up in partnership with the University of Birmingham, University Hospitals Birmingham NHS Foundation Trust, the Centre for Appearance Research at the University of the West of England, and the CASEVAC Club – made up of wounded veterans from conflicts in Iraq and Afghanistan.